Simple Indian Hairstyles That Go Perfectly With Indian Outfits! Shaadi season is almost upon us - it’s time to pull out those gorgeous saris and rock the desi look! 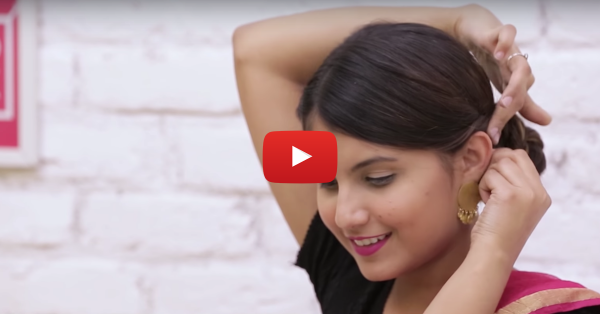 And if you are hoping to jazz up your look with some pretty and simple Indian hairstyles, then here is the perfect video for you. These traditional hairstyles for Indian wear are super easy to follow and the best part is that you don’t even need to go to the salon. So arm yourself with a handful of bobby pins, settle down in front of a mirror and you are good to go! Also watch: 3 Quick, Easy, Pretty Hairstyles For The Lazy Girl! Watch the video now!